Every year, EcoMundo carries out the regulatory analysis of hundreds of substances, over a 10 years’ horizon, for companies wanting to understand the legislation likely to affect the chemicals they either use or manufacture. Such a study may be complemented by a toxicological assessment. A REACH Authorisation assessment enables you to evaluate the need and the feasibility of submitting an application before deciding to launch into the process. This will provide all the elements required to make the right decision, in the form of a strategic document. Currently, EcoMundo is helping some twenty organisations across Europe develop their strategy in these areas: Authorisation Request, review report, strategy for submitting the dossier, etc. Once in possession of the REACH Authorisation granted by the European authorities, you need to be in a position to demonstrate, in the event of any inspection by national authorities (DREAL), that your activities are compliant with the conditions of Authorisation. NB: this compliance is above all valid for companies that are covered by an Authorisation dossier dealing with the supply chain as a whole. EcoMundo travels throughout the European Union to carry out thorough on-site audits. Some ten companies with an Authorisation or covered by an upstream Authorisation have already requested this compliance update in order to be prepared for inspections. Our Authorisation dossiers were granted 12 years review periods by ECHA! What are your obligations following the upcoming decision of the European Commission on the authorisation periods of different compounds of Chromium VI? Ensure that your uses comply with the operating conditions and risk management measures of the Chemical Safety Report (CSR) filed by upstream applicants. Prepare your demonstration of compliance in case of control by the authorities. → Thanks to its experience in Chromium VI Authorisation dossiers, EcoMundo can assist you in all the steps mentioned above. Challenges: Safran Aircraft Engines is the world leader for the production of aeronautics propulsion systems. As part of its activities, Safran Aircraft Engines uses paints made with chromium trioxide for the coating of specific parts in order to ensure the performances and the security of critical rotating components of civilian and military aircrafts’ engines. In order to secure their use over time, Safran AE chose EcoMundo for the production of a REACH Authorisation application. The identification of a realistic and detailed ‘non-use’ scenario in accordance with industrial and regulatory specificities of the concerned parts. A precise assessment of all impacts of the application through a robust methodology. Results: The REACH Authorisation application was submitted in February 2016. ECHA recommends the Authorisation period requested by Safran Aircraft Engines (10 years), without any restrictive conditions. Challenges: The NEXTER group is a major actor in the defence industry in Europe. As part of its industrial activities, Nexter uses chromium trioxide for several treatment applications of surfaces necessary to maintain operational conditions for a range of defence equipment. In order to secure its use, Nexter chose EcoMundo for the submission of a joint Authorisation dossier. 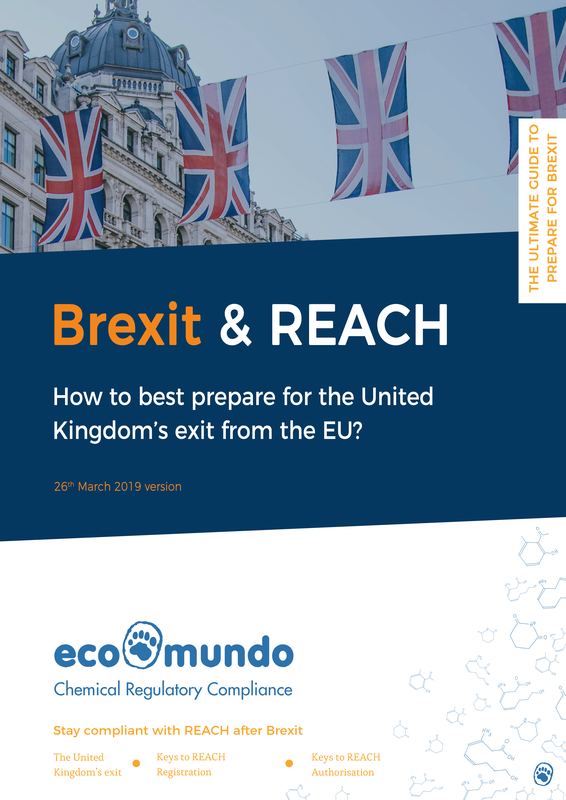 Solutions: EcoMundo took over the writing of three constitutive documents of the REACH Authorisation dossier (Chemical Safety Report, Alternative Solutions Report and Socio-Economic Analysis). Results: The REACH Authorisation dossier was submitted in November 2015 and ECHA’s opinions were published in September 2016. ECHA’s expert committees recommend the requested Authorisation period, which includes long periods of 12 years without any additional restrictive conditions. Challenges: EURENCO is a European leader in the production of energetic materials intended for defense or commercial markets. As part of its industrial activities, EURENCO uses 1,2-Dichloroethane (DCE) for the production of an energetic oligomer mostly used as solid propeller for missiles and as a gas generator for an emergency system for submarines. As the DCE is included in the Annex XIV of the REACH Regulation, EURENCO chose EcoMundo for the submission of a joint Authorisation dossier. Solutions: EcoMundo took over the realisation of the whole Authorisation dossier: Chemical Safety Report, Alternative Solutions Report and Socio-Economic Analysis. EcoMundo’s experience regarding REACH Authorisation allowed an optimisation of the whole procedure, especially through the use of dedicated data collection tools, as well as the expert use of exposure substance modelling tools and advanced Socio-economic Analysis tools. Results: The REACH Authorisation dossier was submitted in February 2016. ECHA’s expert committees recommend the requested Authorisation period by EURENCO, without any additional restrictive conditions. Our webinars to learn more on REACH Authorisation. Discover our latest posts about REACH Authorisation. See our REACH Authorisation Services in action!